This research project covered a wide range of activities that allowed researchers to understand the relationship between stability, pavement distress, and recycled portland cement concrete (RPCC) subbase aggregate materials. 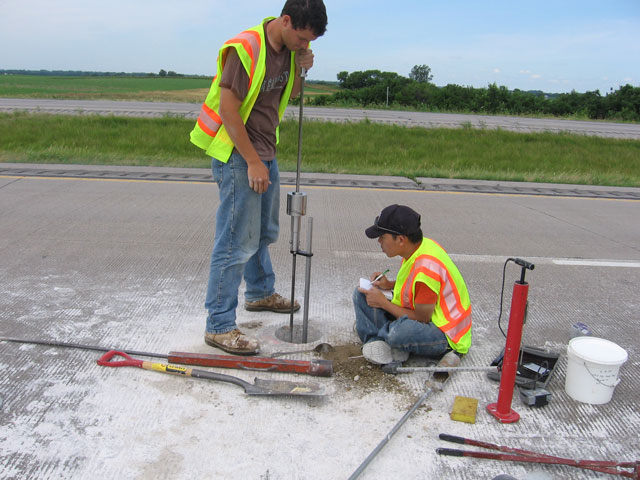 Detailed laboratory and field tests, including pavement distress surveys, were conducted at 26 sites in Iowa were conducted. Findings show that specific gravities of RPCC are lower than those of crushed limestone. RPCC aggregate material varies from poorly or well-graded sand to gravel. 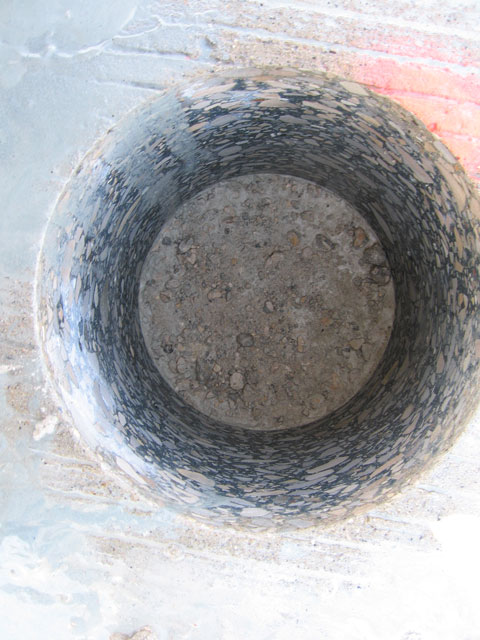 A modified Micro-Deval test procedure showed that abrasion losses of virgin aggregate materials were within the maximum Micro-Deval abrasion loss of 30% recommended by ASTM D6028-06. Micro-Deval abrasion loss of RPCC aggregate materials, however were much higher than those of virgin materials and exceeded 30% loss. Modulus of elasticity of RPCC subbase materials is high but variable. RPCC subbase layers normally have low permeability. 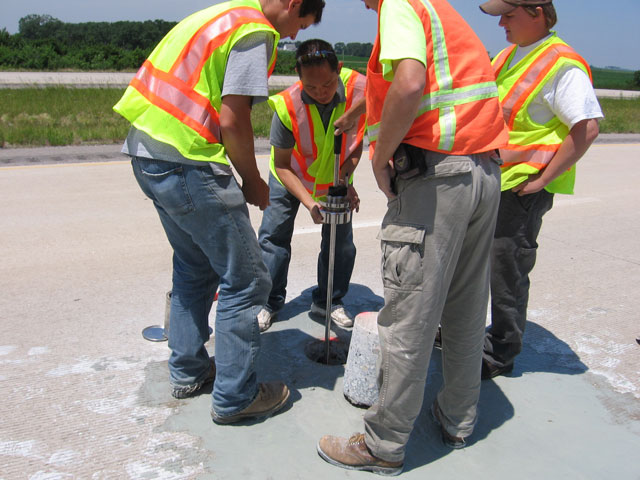 The pavement surfaces for both virgin and RPCC subbase across Iowa were evaluated to fulfill the objectives of this study related to field evaluation. Visual distress surveys were conducted to gather the detailed current pavement condition information including the type, extent, and severity of the pavement distresses. The historical pavement condition information for the surveyed field sections was extracted from the Iowa DOT’s Pavement Management Information System (PMIS). The current surface condition of existing field pavements with RPCC subbase was compared with the virgin aggregate subbase sections using two different approaches.